1) Length : 48", 53"
Nomad KTB is the Korean Traditional Bow by Freddie Archery, a Korean manufacturer of Korean Traditional Bows. As such we have had much experience with Korean Traditional Archery and Bows. Craftsmanship goes beyond mere technical quality. This collection will feature works that represent the spirit and skill. Coming from the hands, the brain and the heart, it should be judged not just as a collection of parts, but rather as art. 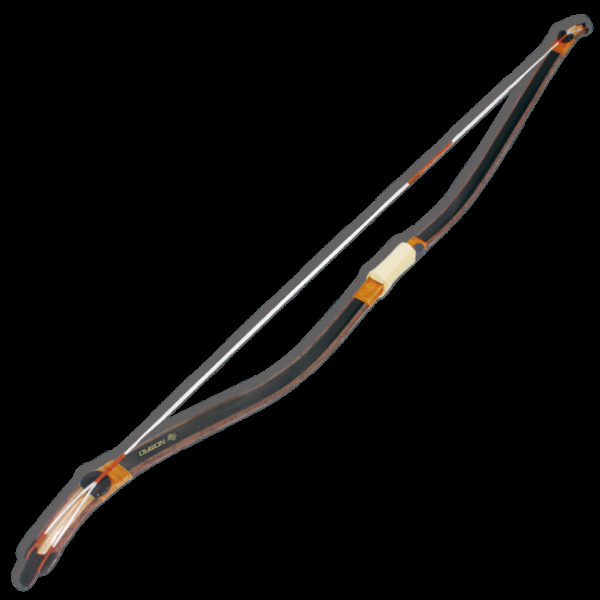 2) Draw Weight : 15#, 20#,25#, 30#, 35#, 40#, 45#, 50#, 55# or 60#@ 31"
The Nomad KTB is an excellent, lightweight bow. When I first received the bow, I tried to learn the traditional Korean style of archery, using a thumb ring and releasing the arrow on the right side of the bow (I'm right-handed). For some reason, the awkwardness of that shooting style and some pain that came from using the thumb ring made me think that I may have wasted my time and money. But it was a pleasant surprise to find that the bow could adapt to a western shooting style! I fitted it with a small brush rest on the left side and began practicing with the comfortable three-finger release that I have been using since I was a young boy. The longer I use the bow, the better it feels and the more accurate I have become with it. It is strong and quiet, a joy to shoot and it doesn't give me the sore finger tips that come with my western recurve bow after shooting 150-200 arrows in a session. If you are used to a western, traditional shooting style and wonder if the Nomad will work with it, wonder no more! "I have been very happy with my Nomad KTB bow. Archery is a new sport for me. And an experienced Asian archery enthusiast seems impossible to find in Spokane, WA, much less a Korean archery instructor. 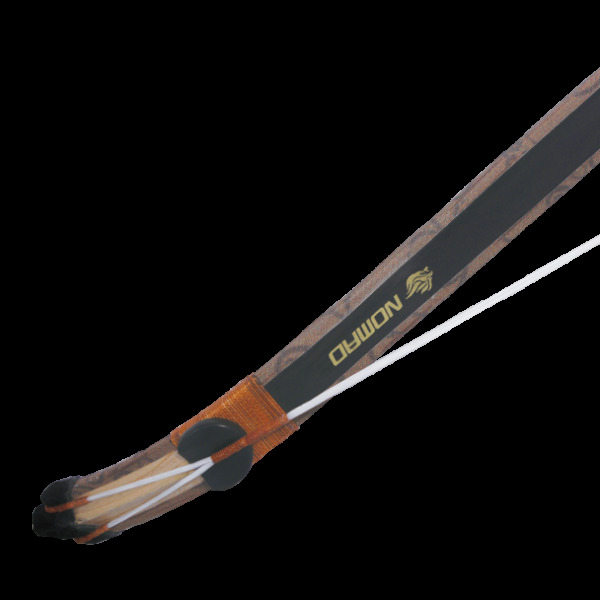 But this bow, and a few online videos, makes learning archery surprisingly straightforward. I've had my KTB for 6 months and, using locally made arrows, I'm shooting inside of 16 inches groups at 50 feet. KTB makes it easier than I expected. "Compared to western bows, Korean bows are half or a third of the weight, shorter, slimmer in the hand, faster per pound of draw weight and nearly silent. After release, the flight of the arrow is actually louder that the sound of the bow. And with the KTB, there is no stacking or "hand pinch." I've studied enough that I now know what stacking is. I still don't know what western archers are referring to regarding "hand pinch." I've never experienced it with my KTB. "For new archers, I would recommend you buy three of the arrows Kaya makes available to match your bow. They are PERFECTLY matched to the bow you get. If you go to your local archer shop to have them duplicated as I did (for hunting versions or to help you identify the components needed so you can "roll your own,") be sure you take careful measurements of each component and insist that what they make are duplicates. Success is in the details! Arrows that are not well matched to the bow makes learning much more difficult, and consistent shooting impossible. 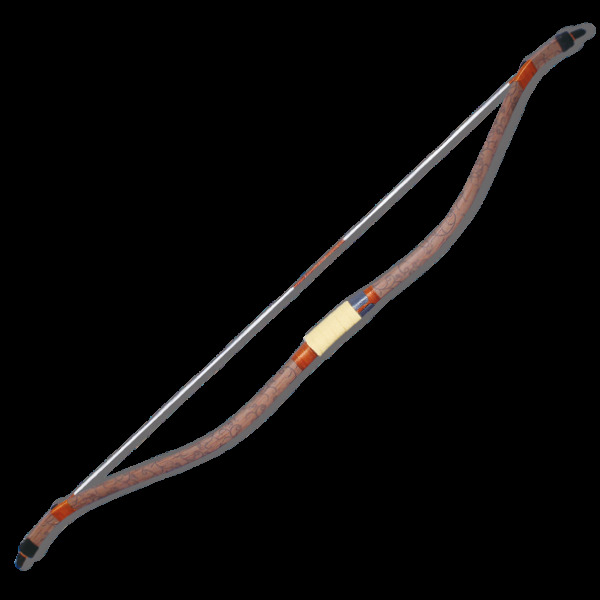 The arrows that come with the Kaya bows are ideally matched. For comparison let me repeat that with my locally made arrows I shoot 16 inch groups. With the arrows I ordered with my Nomad KTB bow I can regularly hit plastic pop bottles at the same distance. Kaya arrows are an inexpensive way to find out how perfect arrows should perform with your new bow. "Another recommendation: Try the horn thumb ring Kaya makes available. They will make it to fit the dimensions of your thumb so be particular about the dimensions you send. Besides the fact that they are real buffalo horn and are hand made, these thumb rings provide a very effective trigger mechanism. For those of us who know how firearm triggers work, the genius of the thumb ring is obvious and impressive. Besides, using one, like Asian archery itself, is a very effective traditional skill and art with a huge history. It's worth learning. "Another quick tip: I had no idea that mounted archery was still "a thing." It is! There are lots of mounted archery clubs in the States and Europe. Point being, mounted archers all seem to be using Asian bows! If you live near one of these clubs then you will find some expertise in Asian archery. Mounted archers love talking about their bows and their learning process. "Whether or not you are an equestrian, the Kaya KTB is a great bow to start with. And I wouldn't be surprised one bit to discover that expert archers use them and love them. Bottom line: KTB's balance of benefits and price makes it an obvious great choice. If mine were stolen or broken today, I'd order another Nomad KTB tomorrow." This bow is truly amazing.. it is really a compound in traditional skins. . i am so proud to own one of these bows.. i would like to send my honor and thanks to the craftsmen of Korea new and old for crafting these amazing works of art.. thank you so much. .
Comes with good material like leather arrow guard that wraps around arrow pass, either right or left side depending on dexterity. Is supple yet fast. Good grip material is included as well. This is my second bow I've acquired since beginning archery and mounted archery. It is by far lighter than my first bow. I love how smooth it is to draw and shoot. A nice upgrade from my first bow for sure.